Growing up in Toronto, Michael has been singing and acting since he was 10 years old in various school productions. His love of the dramatic arts led him to attend Wexford Collegiate School for the Arts for musical theatre. It was there that he discovered a passion for dance. At 17 years old, Michael took his first dance class and developed a need to learn and excel in the art. His hard work and determination brought him to Ryerson University. 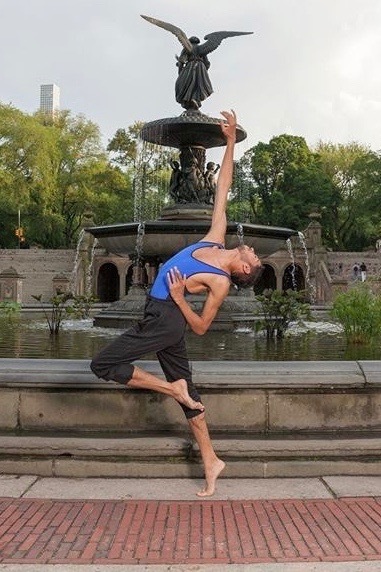 Immersing himself in a conservatory style program allowed him to thrive and refine his artistry in ballet, modern, jazz, contemporary, musical theatre and Cuban techniques. During his training at Ryerson’s School of Performance, Michael had the opportunity to work and learn from many acclaimed choreographers/ companies, including: Hanna Kiel, James Kudelka, William Yong, Hubbard Street Dance Chicago, Vicki St Denys, Matjash Mrozewski, Kate Hilliard and Gadfly. Following graduation he was accepted and attended Springboard Danse Montreal 2018, and worked with Slowdanger, a company based in Pittsburgh on a new creation and also performed repertory from the world renowned Batsheva Dance Company, working with Shamel Pitts. In 2015, Michael had the pleasure of working with Cirque du Soleil in the Pam Am opening ceremonies choreographed by Luther Brown. The experience opened up a whole new world of possibilities in entertainment. He also had the opportunity to work on exciting projects with Jeff Dimitriou, Anisa Tejpar, and Alyssa Martin. Outside of school, Michael trained in other facets of dance, including hip-hop, jazz funk, urban and Bollywood. Michael’s captivating stage presence and his versatility as a dancer makes him a talent to watch out for. His hunger for cultivating his art and cross disciplines within art is showcased within his stellar work ethic and performance on stage. As a recent graduate of Ryerson University (2018), Michael is excited to further develop his talents and take on new challenging opportunities to grow and thrive in all areas as a performer on stage and in film.